I am reading Tom Peters' The Excellence Dividend. It keeps reminding me of his 1982 classic The Search for Excellence and how much it influenced my writing style. My focus has always been on present and future excellence. My New Florence blog is approaching 6,000 posts and my books have over 500 profiles of companies which are pushing the boundaries of innovation and excellence. I honestly had little time for the past. Then, I found myself in a bit of a quandary when I was wrote SAP Nation 2.0. SAP had announced S/4HANA just a few short months after I had released SAP Nation. I had offered 20 pages of unedited space to SAP in that book. I had heard rumors about S/4 but did not want to speculate and hoped SAP would write about its obviously strategic, next-gen product. SAP chose not to contribute (in contrast, they have been remarkably open during my writing of the upcoming volume 3.0) and so I wrote 2.0 to describe details of S/4 and its likely prospects. "a next-gen product takes years of development and maturation. Migrating a legacy customer base takes even longer. Those are just the laws of physics. SAP may be able to bend these laws slightly with S/4, but will likely not be able to break them." DSAG, the German speaking SAP User Group reported earlier this year that only 3% of members surveyed had made the migration to S/4, though the trend is expected to accelerate in the next few years. Oracle, Infor, Microsoft, Unit4 and other vendors with on-prem customer bases are having even less success moving their customer bases. I similarly had not planned to look back for my next book, Silicon Collar. That had plenty of case studies - automation and work in more than 50 settings: accounting firms and banks, the battlefront and digital agencies, the oil patch and restaurants, R&D labs and shop floors, warehouses and wineries. However, to get a divergent perspective, I also interviewed several academics, analysts, and economists who were worried sick about job losses in the new machine age. As tie-breaker between the pragmatism of the case studies and the pessimism of the academics, I turned to history. I studied UPC codes and scanners as they evolved since 1948; the ways in which cars have gradually been taking over control of driving from humans since cruise control was first introduced by Chrysler in 1958; the rollout of ATM machines starting in the 1970s and progress of artificial intelligence, robotics, self-service over decades. That gave me the confidence to write that societies absorb automation at a pace that’s much slower than technology’s evolution. And five powerful “circuit breakers” help delay and influence the trajectory of automation in surprising ways. My conclusion - machines make workers speedier, safer and smarter and only gradually destroy jobs. I looked at SAP's 'bounceback". Five years ago, SAP looked vulnerable. Besides the runaway costs and massive project failures experienced by some customers, SAP appeared preoccupied with its HANA database and almost bored with enterprise applications. Much more concerning, a wide range of competitors were circling around. Indeed, right after S/4 was launched in early 2015, Dr. Plattner was quoted as saying, "If this doesn't work, we're dead. Flat-out dead. It's that simple.” As this book show's Dr. Plattner's worst worries have not materialized. S/4 has not been a runaway success but SAP's competition has not exactly gone for the jugular either. Instead, SAP's product portfolio and customer base has grown significantly. I went back to 2000 when enterprise tech vendors—especially ERP/CRM vendors led by SAP, their systems integrators and other partners—were set to dominate the corporate technology landscape. They had emerged very strongly from the Y2K crisis, and the launch of the EU’s common currency promised another bonanza. Instead, their share of the enterprise steadily declined over the ensuing two decades. They missed out on the contract manufacturing of smart products, digital marketing, cloud infrastructure, industrial internet, process automation and several other trillion-dollar markets. Two decades ago, not many of us had heard of Accenture Interactive or Foxconn. Few of us considered Amazon or GE or Alibaba as tech vendors. Few of us would have speculated that Apple, near dead or Google, not born yet would today have many times SAP's annual revenue. The market is fragmented—waiting for fast followers who missed out on the first wave of opportunities. Could that be SAP? I went back to the history of the North American continent in the 1800s and cataloged how a "start-up," the U.S., achieved its radical expansion. The setting today is similar to that of when the young U.S. nation acquired Louisiana from France in 1803. The real estate doubled but the population was mostly concentrated around the Atlantic Coast. SAP's product real estate has similarly grown, but the majority of its over 400,000 customers are clinging to their previous "homes." Migrating this customer base is SAP's first big opportunity. In addition, an even bigger opportunity awaits. The U.S., energized by a Manifest Destiny call, expanded all the way to the Pacific Ocean. Five years ago, it seemed improbable, but now SAP has a similar opportunity to lead the enterprise technology "continent." It is building momentum, and has been going through massive changes. Is it ready to issue a similar Manifest Destiny call? The end result is a fatter book - about 400 pages - than I had planned. Some readers will find the customer profiles a bit long. Here's the reality – we only ended up using 15-20% of what was in the interview transcripts. Customers, in particular, like to hear from their peers - the executives who spoke to me at length did so for their benefit and I do not want to shortchange them. But the history focus helps remind me that vendors often don't fact check against what they said or did even a few short months ago, whereas customers have long memories. This books shows customers being much more cautious about using SIs, many sticking to on-prem and SAPGUI deployments of S/4 to manage risk etc. Karma, your past, often comes back to bite you. Those who ignore history are doomed to repeat it. "I hope this note finds you well. I wanted you to be one of the very first people with whom I share important news. After 25 years at Cognizant, including 12 years as CEO, I’ll be stepping down in April. It’s been the privilege of my life to have had the opportunity to help build and grow Cognizant since its founding 25 years ago—a span that represents half my life. Yet, after much discussion with my family, I informed our Board of Directors last year of my desire to step down as CEO sometime in 2019. 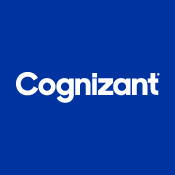 Today we announced that I will do so on April 1, after which I will remain on the Board as Cognizant’s Vice Chairman. The Board has named Brian Humphries, who is the CEO of Vodafone Business, as my successor. He's the right leader to take Cognizant forward, and I am excited to welcome him aboard. I have never been more optimistic about the future of our company. Cognizant has a market-tested strategy for growth that is deeply aligned with our capabilities and our clients’ needs. The best days lie ahead for Cognizant, and I look forward to continuing to play a key role in the company’s many future successes as Vice Chairman of the Board. I am truly grateful for your friendship and partnership over the years and extend my best wishes." Thank you, Frank. It has been my privilege to profile you as a global polymath in my books and posts. You are still very young and I look forward to continuing to watch you as you guide our industry in different ways. In the meantime, I look forward to hearing more from Brian who brings his own impressive global background from Vodafone, Dell, HP and other tech vendors. The country is seeing a welcome break from the polar vortex. Temperatures remind us of Spring. Well, may not quite - winter is not done, but there is clear hope. It's easy when you look at Wall Street's reaction to Workday or ServiceNow results to forget reality. The reality is that there are over a million SAP, Oracle, Infor, Unit4, IFS, ADP, qad and other enterprise customers who are stuck with 15-30 year old ECC, Siebel, Lawson, Agresso, MFG/PRO and other legacy implementations. For all the success of Salesforce, NetSuite, other SaaS vendors, and new products like S/4 and Fusion, the vast majority of the enterprise is in the tundra. There are a variety of reasons as Holger Mueller, Cindy Jutras, Frank Scavo and others explain in my upcoming book, SAP Nation 3.0. I also have a section on what I call SAP's "unforced errors". Trust me, I also show plenty of mistakes made by SAP's competitors. However, I found signs of spring as I finished editing my book manuscript. It has 50 case studies spread over 200+ pages describing how they are trying out different strategies. Trying out Leonardo ML and IoT at Costco and GEBHARDT. Ring-fencing ECC with many of SAP's cloud properties, as with SuccessFactors at Terumo BCT and components of C/4 at Pregis, or Workday at Sanofi and Salesforce at Unilever. Trying out relatively new on-premise, but impactful, SAP functionality like IBP at Louisiana-Pacific. We also are seeing blends from this growing toolbox of strategies. So, CF Industries is moving to S/4 in the cloud, and at the same time has shifted to TPM from Rimini for its ECC support while it gradually migrates. GEBHARDT has been implementing a variety of SAP cloud products around its ECC on-prem implementation. Additionally, it has developed a customer portal and set of predictive maintenance services using Leonardo IoT and AIN capabilities. In addition, I cover burgeoning developer and startup communities around ML in China, Industrie 4.0 in Germany, in Silicon Valley, in India and open source around the world. 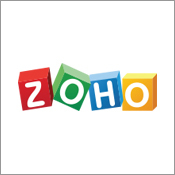 The case studies are spread across 30+ industries and 10 countries. I did that to show diversity and to show that we are just getting started. So many process areas around the world and in most industries are waiting to be modernized. In fact, I present such a dizzying arraying of SAP product acronyms and industry TLAs that my editors and early reviewers all recommended a section at the front of the book which is titled "Do you speak SAPese?". I expect we will gradually start to see similar groundswell of activity around other vendors. Secondly, my firm, Deal Architect, is gearing up for intense 2-3 day offsite sessions to help clients take a look at the changing market. That confab should cover the fit of many of the strategies above, while also evaluating internal and external talent and fit with emerging technology trends. Of course, winter is not done. What we have seen is just a glimpse of what is to come. Time to celebrate with Camus: In the midst of winter, I found there was, within me, an invincible summer. The book is expected to be out in April, in time to celebrate Spring. In the meantime, I will post periodic blogs to remind us all the enterprise is finally starting to thaw.